The Fellowship was fortunate enough to obtain a copy of ARCHIE ARCHIVES: SPRING FEVER AND OTHER STORIES from Dark Horse Comics. The stories are by Bob Montana, Harry Sahle, Ed Goggin, and unknown. The art is by Montana, Sahle, Clem Weisbecker, and unknown. Inks are by Clem Harrison, Janice Valleau, and Zoltan Szenics. · Archie having bad luck with his car while trying to deliver fish. · Jughead has problems after dressing up as Hitler to raise money for the war effort. · Archie & Jughead work at the circus…to get money to take the girls to the circus. · Betty and Veronica become volunteer nurses hoping to take care of their Archie. And that’s just a fraction of the tales in this collection! ARCHIE ARCHIVES includes all the Archie stories from PEP COMICS #39–#45, JACKPOT COMICS #9, and ARCHIE COMICS #3–#6. While the look (and some of the story elements) is dated, these were humorous and enjoyable tales; hallmarks of Archie Comics. One interesting point was the Betty and Veronica tale ended asking if readers were interested in more stories featuring the girls. Didn’t know Jughead had a younger lookalike cousin named Souphead. All in all, this is a fun collection that any fan of Archie should get. Even if you aren’t a fan, this is a nice look back to the past and have a fun time doing it. 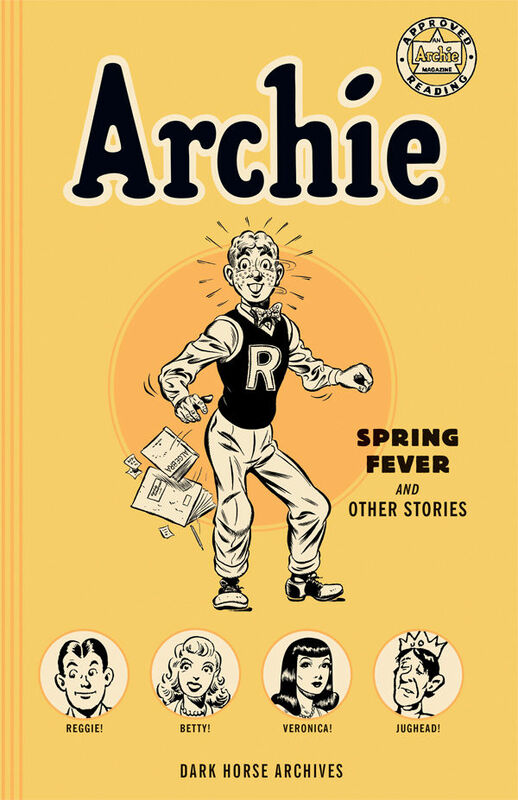 ARCHIE ARCHIVES: SPRING FEVER AND OTHER STORIES is in stores now, or available for ordering at www.darkhorse.com.